The event is free but requires registration. Sign up by 1pm Wednesday, June 20th. Please join the New Professionals for an evening of fun at Park and Field! 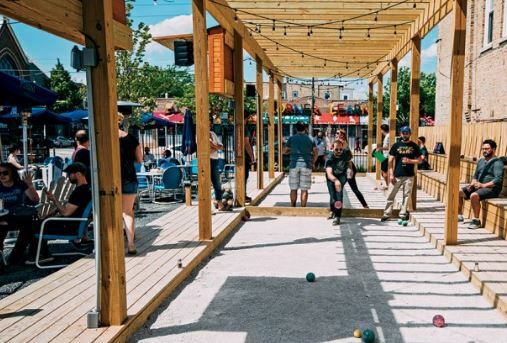 Let's take advantage of the summer weather (finally), we will have a private area reserved on the patio to network over food, Bocce ball, and an outdoor fire pit. If it is cold or rainy, you will find us inside. We hope to see you there! Food will be provided so come hungry.